Not happy with your current tool sharpening service? Give us the opportunity to introduce you to the GDP|GUHDO difference. 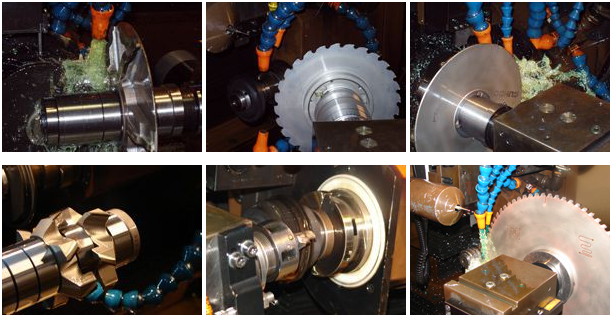 Whether they are GDP|GUHDO or other brand cutting tools, our state of the art service center offers precision sharpening of carbide and diamond saw blades, insert knives, solid carbide router bits and PCD (polycrystalline diamond) tooling. Maintaining cutting angles to ensure the continued performance of all your cutting tools is an important aspect of proper service. Turnaround time is generally one week in-house, although a faster turnaround is possible if required. Our service/repair work is guaranteed to be to your complete satisfaction. For a quotation on your diamond sharpening needs, please email your request to [email protected] or contact us. If you have any questions about Sharpen Diamond Tools or any of our products and services please call us at 1-800-544-8436 or contact us today.